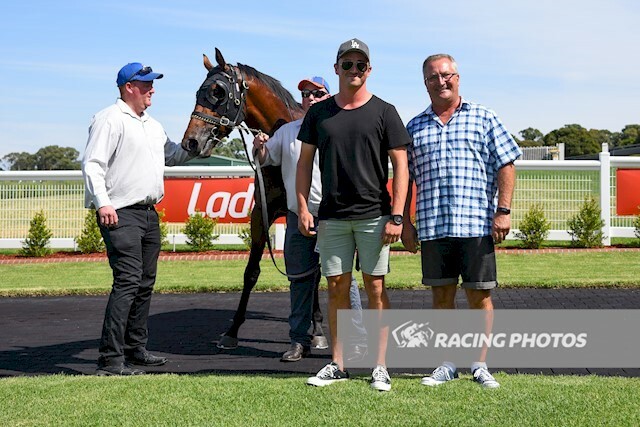 Trainer Tony McEvoy took one horse to Sandown in Melbourne on Wednesday, February 6, and left with a 100 percent strike rate. Two-year-old Game Keeper ($3.50 fav), ridden by Luke Currie, dictated terms in the Ladbrokes Multiverse Handicap (1200m) to score a three-quarter length win from Conqueror ($3.80) with Miss Dynamic ($5), 1-1/4 lengths away third. Showing the benefit of race experience, Game Keeper was taken to the front by Currie and battled on strongly to hold his challengers off over the final 200 metres. The win made it three wins on the day for McEvoy who had won the opening two races at Morphettville Parks. He went on to prepare another two SA winners for a huge day. McEvoy stable representative Darren McLeod said jockey Luke Currie had formulated three options for the race. “I think that was Plan C, but he did exactly what he said he would,” McLeod said. “He rated the colt perfectly and I think the horse is looking for more ground. Luke Currie said the race experience had been invaluable. “He wasn’t that quick out of the machine, but I wanted to be positive on him with that fitness edge over his rivals and he was very strong,” Currie said. “He is a nice horse, he has just taken a bit of time. He still a bit wrong so it was a good win.